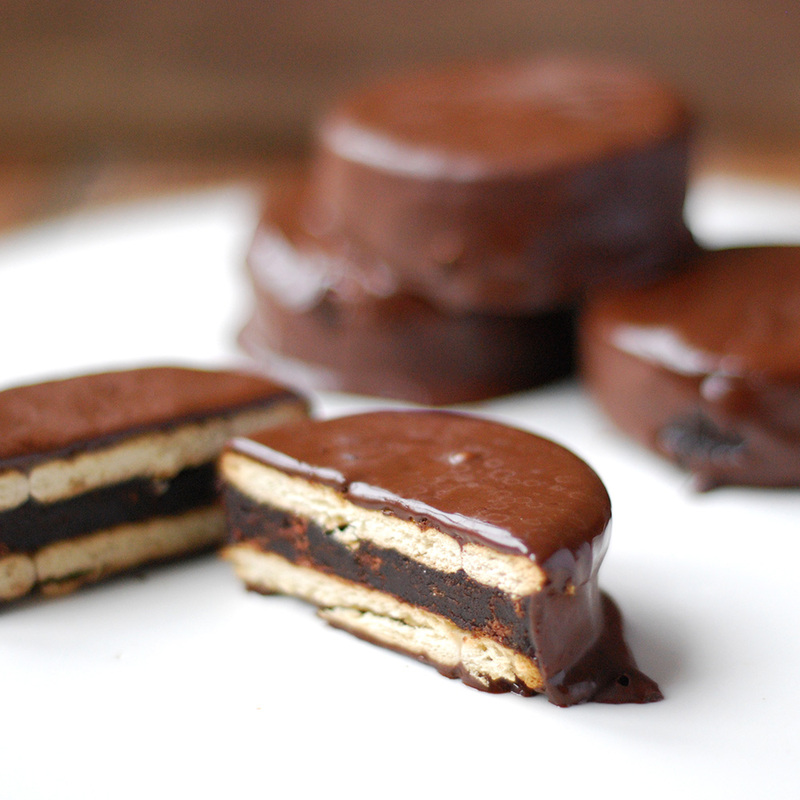 These alfajores are a delight, They are chocolaty, crunchy and sweet. Ok, I know is incredibly fattening but what can I say, a girl just need a treat from time to time, right? Mix the sugar, cocoa, salt, flour and soda in a mixing bowl. Add the oil, vanilla paste, vinegar and pour cold water over the mixture. Combine well with a fork, but do not beat. Pour into a greased baking tray and bake it at 180C for 20-30 minutes. When the cake is cold, transfer it to a big bowl and crumble it. Melt 100g of dark chocolate and mix it with the warm single cream. Mix it with the cake and set aside. Divide the cake mixture into 20 balls. Delicately press each ball in between two biscuits. Melt the rest of the chocolate in bain marie or in the microwave. If you are using the microwave, do it 30 seconds at a time otherwise you can burn your chocolate. Dunk each alfajor into the melted chocolate and let it set on a baking sheet. You can take it to the fridge for 10-15 minutes if you prefer.